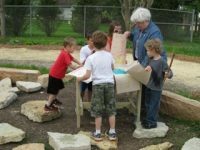 The West Side Early Childhood Center Natural Playground has been transformed from a flat, barren landscape to one of rolling hills, small patches of native prairie and areas of diverse plantings. This beautiful area is interspersed with cozy classrooms constructed of natural materials, built by creative hands. The design of the space emphasized the use of re-purposed materials, sourced locally. 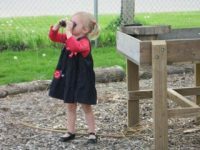 The natural playground has 11 areas and 9 different classrooms divided by natural materials including logs, limestone rock and low growing plants. Green space was left open for additional activities. 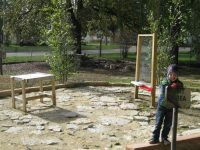 Limestone, which is plentiful near Decorah, is used throughout the outdoor classroom and as flooring in the Art Area and pathways between rooms have been lime screened and mulched. Each area is surrounded by a rock or log border and there is a clear distinction between pathways, plants and classrooms. Hand-painted signs were created for each area, but vandalism sadly led to these signs being taken down. A security camera was placed on site which has reduced vandalism significantly. New signs will be painted by the Decorah Community School District art students. Over 30 new trees and several hundred plants were placed in the outdoor classroom, transforming this space into a colorful and interesting natural area. The use of short flowers and shrub varieties help to ensure all areas are visible. 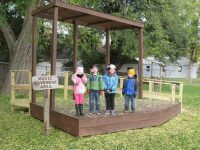 Larger plantings were placed on the perimeter of the playground as not to obstruct visibility. A willow branch tunnel was created which allows for a secret place for children to gather. The discovery tables, shelves and music stage are all made of wood while the arbor/entryway, wooden balance beam and steppers were all built out of logs. Utilizing mostly wood and treated wood materials in the space, these components will last for many years. Elements have been simply designed so that they may be easily repaired and recreated if needed. Benches were built out of a tree that was struck by lightning, and the natural shape of the logs can be seen in the design. The Minnesota discovery table was named as such because the natural cut of the log looks like the state of Minnesota. 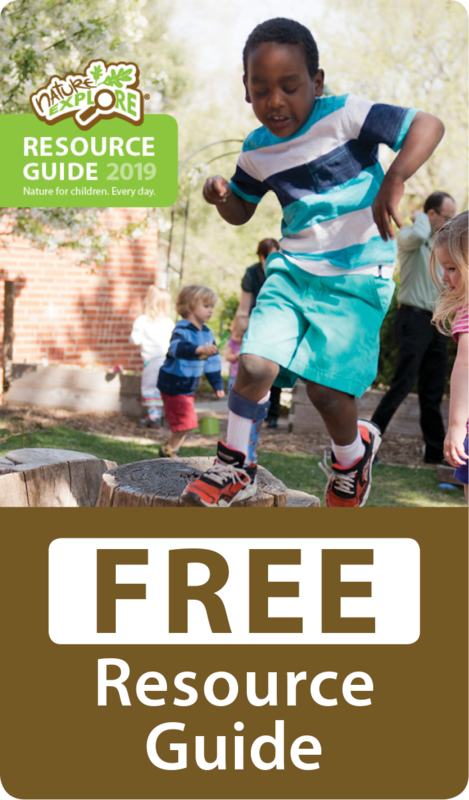 Drums, scarves, a marimba, jump logs and a balance beam were all purchased from the Nature Explore natural product catalog. 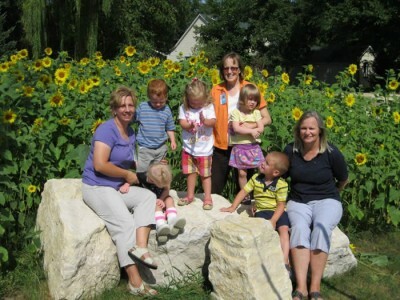 Family Involvement has played a key role in the success of the natural playground. A majority of the classroom has been completed by community volunteers. Five community workdays were hosted throughout the year with an average of 18 volunteers helping each time. These workdays were advertised through the school system’s newsletters, community newspaper, and word of mouth. Together, volunteers built the Climbing and Crawling Area, mulched pathways and planted and seeded areas. In addition, several parent volunteers built structures for the space on their own. These included the water table, discovery tables, art table, shelving units and gathering benches. Parents also brought in natural items to supply the discovery tables, Messy Materials Area and Building Area. Last summer, a neighborhood playground Friends group, of about 15 families, began to meet once a month during the summer to weed and take care of the playground. Dinner was provided during this time and entire families came to help out. 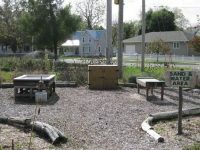 Luther College education students have also been involved in the care of the space, providing weeding, mulching and planting efforts. On Earth Day in April, an Open House celebration was hosted at West Side. 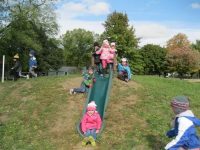 The entire community was invited to view and explore the playground which was created through their kindness and determination!